Earls Auto-Crimp Hose Ends from Earl's! 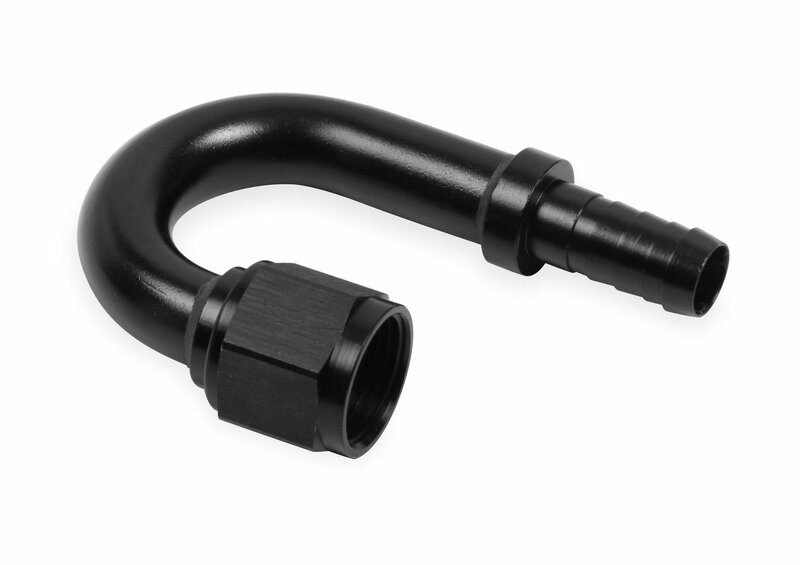 An economical way to utilize a crimp fitting in fuel, oil or coolant systems where the traditional hoses are used. Works only with Auto-Flex, Perform-O-Flex, or Pro-Lite Hoses. Crimp Collars are sold separately. Finished crimp outside diameter that is required for each hose size is clearly stamped into the outside of each crimp collar for easy reference and can be crimped on any crimp machine.